0	0	London's Gone	In Stock - Order before 2pm for same day dispatchWant it on Wednesday 24 April? London has been bombed by terrorists. There is widespread power failure, the government has fallen and rioting has begun. Maria, her sister and a Christian friend set out on a hazardous journey to what they hope will be safety. For Maria this is also a journey within as she discovers a spiritual dimension to life that she had not previously considered. London's Gone by J.M. Evans was published by Dernier Publishing in February 2006 and is our 11112th best seller. 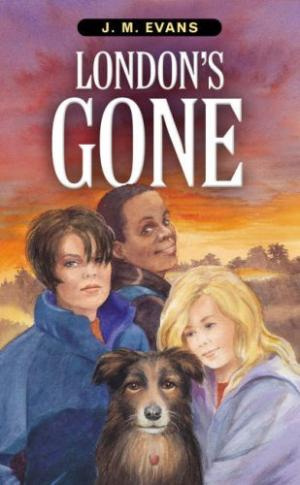 The ISBN for London's Gone is 9780953696321. Maria, a feisty sixteen year old, finds herself landed with the responsibility for her younger sister Emily who she doesn’t even like. A terrorist attack appears to have wiped London off the map, taking with it the UK government and many world leaders attending Middle East Peace talks at Westminster. Their parents, who Maria doesn’t like much either, have gone to fetch their grandparents and should have been back hours ago. What a start to a story – I was gripped from those first pages! Maria takes charge and they set off on their bikes to find their parents and their problems get worse and worse. The only bright spot is a note they find from their Granny assuring them of their grandparent’s prayers and that they have asked God to send Angels to watch over them. That gives Maria a good feeling; not that she believes in all that religious rot but she loves her grandparents and knows they are devout Christians. As the story unfolds they meet with many adventures that keep you turning the pages to find out how it all ends. I’m not telling you! Read it for yourself! Maria, a feisty sixteen year old, finds herself landed with the responsibility for her younger sister Emily who she doesn�t even like. A terrorist attack appears to have wiped London off the map, taking with it the UK government and many world leaders attending Middle East Peace talks at Westminster. Their parents, who Maria doesn�t like much either, have gone to fetch their grandparents and should have been back hours ago. What a start to a story � I was gripped from those first pages! Maria takes charge and they set off on their bikes to find their parents and their problems get worse and worse. The only bright spot is a note they find from their Granny assuring them of their grandparent�s prayers and that they have asked God to send Angels to watch over them. That gives Maria a good feeling; not that she believes in all that religious rot but she loves her grandparents and knows they are devout Christians. As the story unfolds they meet with many adventures that keep you turning the pages to find out how it all ends. I�m not telling you! Read it for yourself! Got a question? No problem! Just click here to ask us about London's Gone.